Published: Manning, Christel. "Each Mind a Kingdom: American Women, Sexual Purity, and the New Thought Movement, 1875-1920" (Book Review). 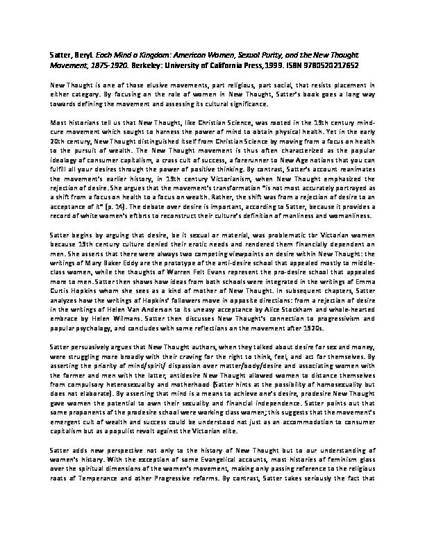 Journal for the Scientific Study of Religion 39.3 (2000): 390-391.